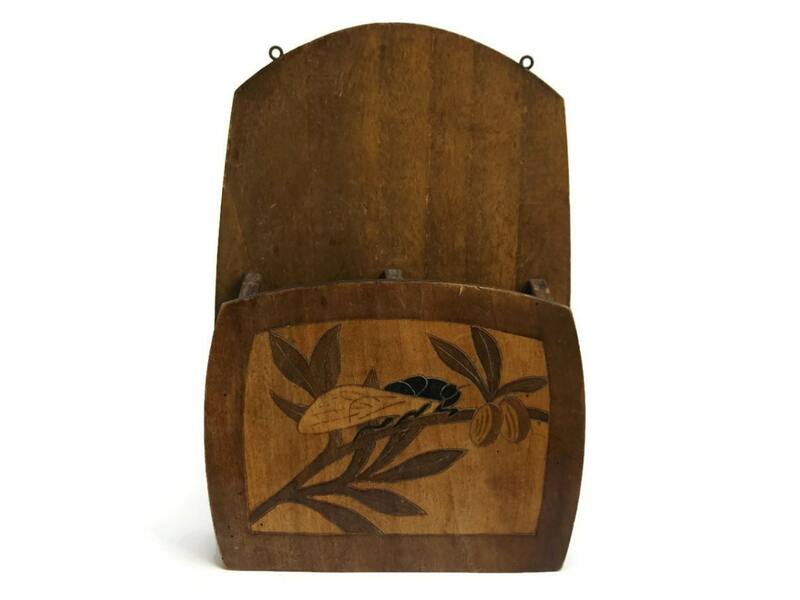 An antique French kitchen wall organizer from the sunny south of France. 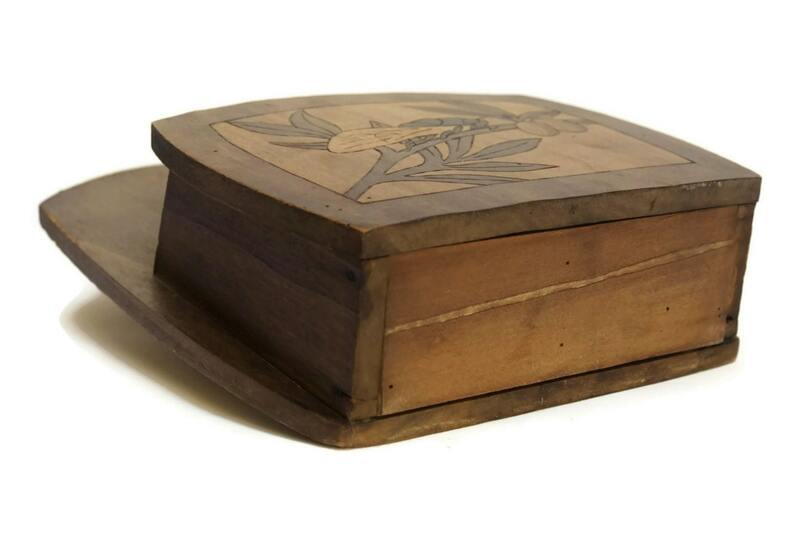 It has been hand crafted from wood and decorated with the image of a cicada sitting on an olive branch. 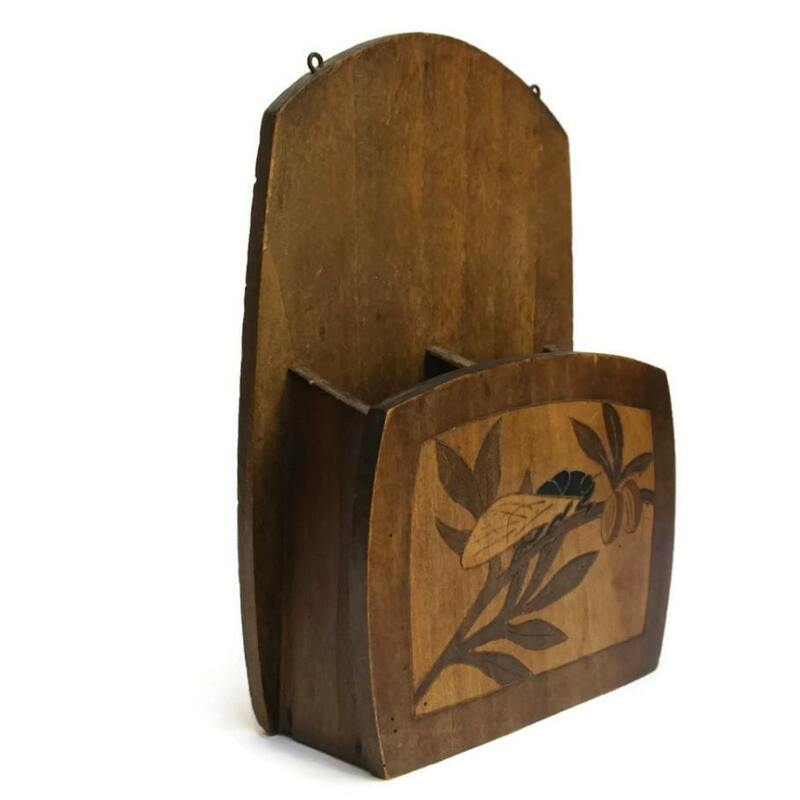 The interior of the utensil holder features two compartments and the piece can be hung on the wall with the two small hooks at the top. 8" Wide x 12" Tall x 3" Deep (20 cm x 30 cm x 8 cm). 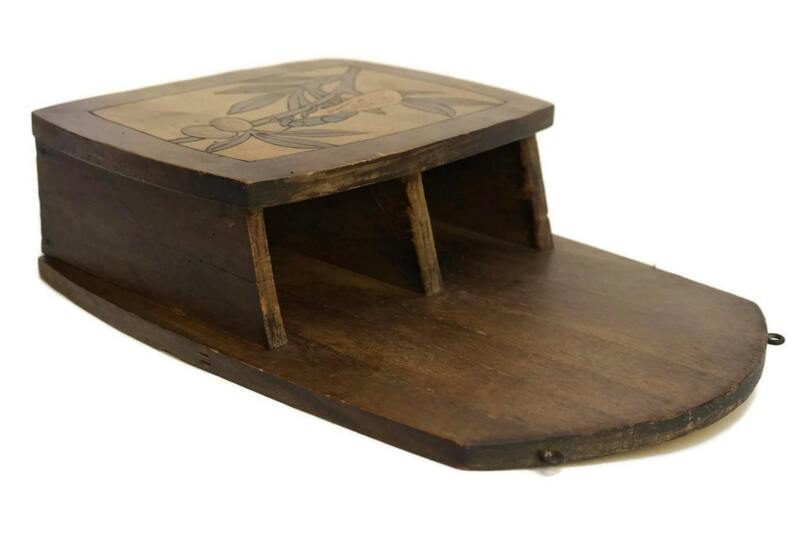 Each of the compartments is 2.75" long x 2" deep (7 cm x 5 cm). 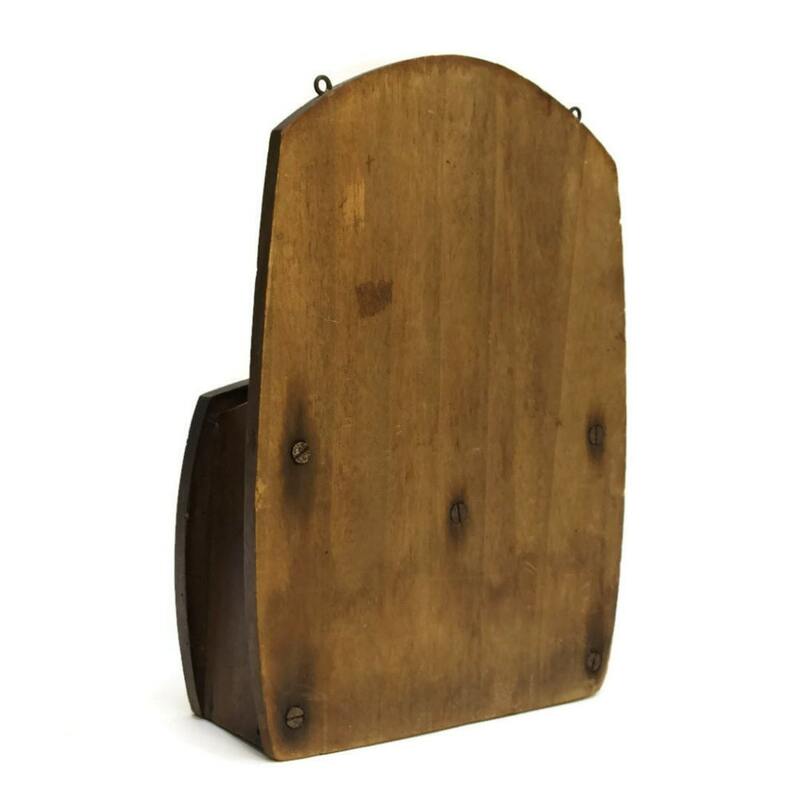 The wall organizer is in fair condition with signs of age and wear including patina and a hairline crack to the wood on one side.